Poland, in addition to having beautiful cities and landscapes, has no shortage of wildlife. The eastern part of the country still contains primeval areas such as Białowieża forest, that are home to a number of interesting critters. The grey wolf looking scary. Deep in the Polish Carpathian Mountains resides one of the largest greywolf populations remaining in Europe. Between 900 and 1,000 of these carnivorous canines roam Poland’s wooded areas in the country’s eastern and southern portions. Grey wolves are about three to four feet long (113-134 cm) from head to tail, and they hunt anything from larger mammals to smaller amphibians. They travel in packs, which are led by an alpha male and his female—only that alpha couple is allowed to mate and produce baby wolves. 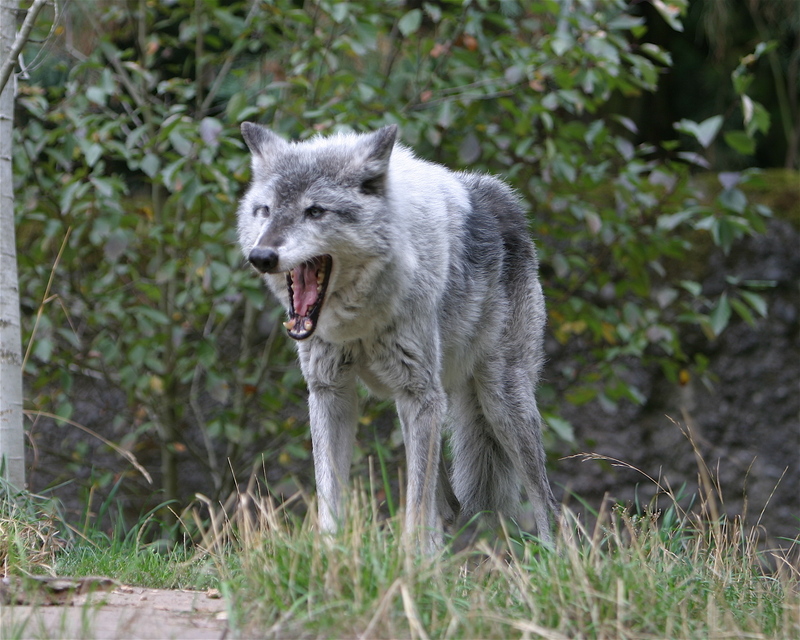 For decades, wolves roamed the Polish countryside, killing domestic farm animals and cattle. As in other European countries, they became the stuff of legend, giving rise to werewolf lore. As a result, Polish farmers began killing them, and by the 1970s, there were only about 70 wolves in the entire country. Since then, Poland has made it a priority to protect its wolves. In 1998, the Polish government officially made it illegal to kill wolves in Poland, and their numbers have dramatically increased. Awww, how cute. It’s a little hedgehog. Don’t pet him, though, unless you want to get a 3 cm spike lodged in your hand. These common Polish critters live in parks, gardens and fields during the spring and summer. During the winter they hibernate. 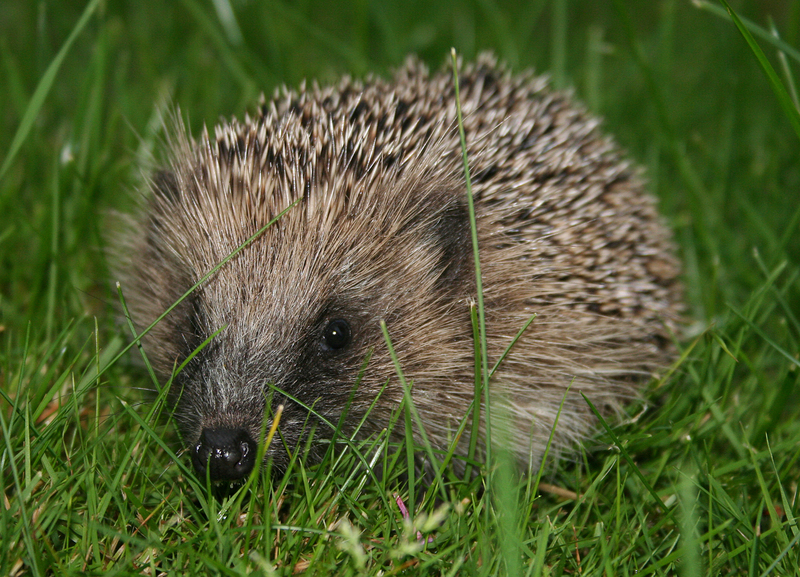 You wouldn’t think it, but hedgehogs are speedy climbers, runners and even swimmers. You won’t see them during the day, though, as they are mostly active at night. Among their favorite meals are snails and fruit, mmmmm. The Poles have recognized the hedgehog’s significance in their country through an odd comic book series called George the Hedgehog (Jeż Jerzy). 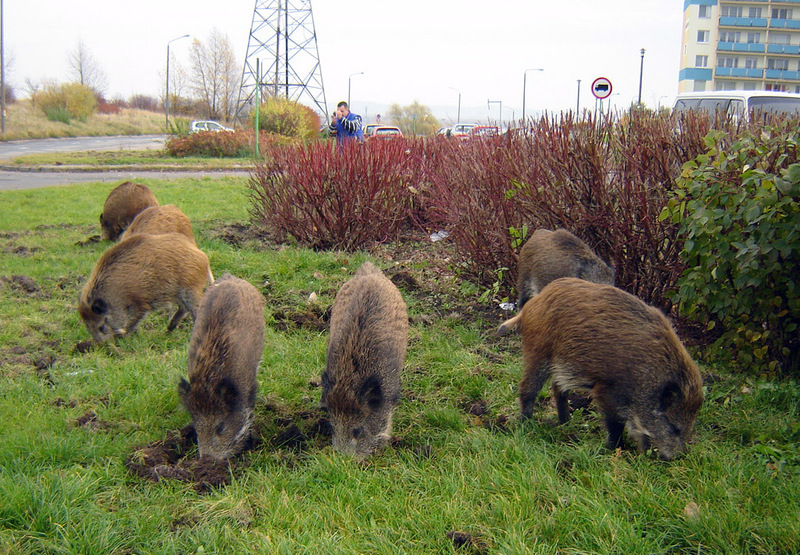 Yeah, these wild pigs are digging for feces right in a Polish town. The wild boar is the white-tailed deer of Poland. It’s everywhere. Although mostly living in forests, at one point 80 boars were found running through a Polish town! In fact, the wild boar population has exploded so much, that the Polish government is encouraging people to hunt the 300,000 boars living in the country. Their numbers have increased by 150 percent in 10 years! Ancestors of the domesticated pig, wild boars travel in herds of about 20. Boars can get up to 3 feet long (100 cm) and can weigh up to 380 Ibs (175 kg). They will eat anything from leaves, to berries, to birds, to, literally feces. Don’t mess with them either, as they can do some serious damage with their tusks, especially when protecting their young. Overall, these aren’t the friendliest animals. They don’t have much class, and their behavior is quite piggish. Poles love their storks, and storks love their Poles. 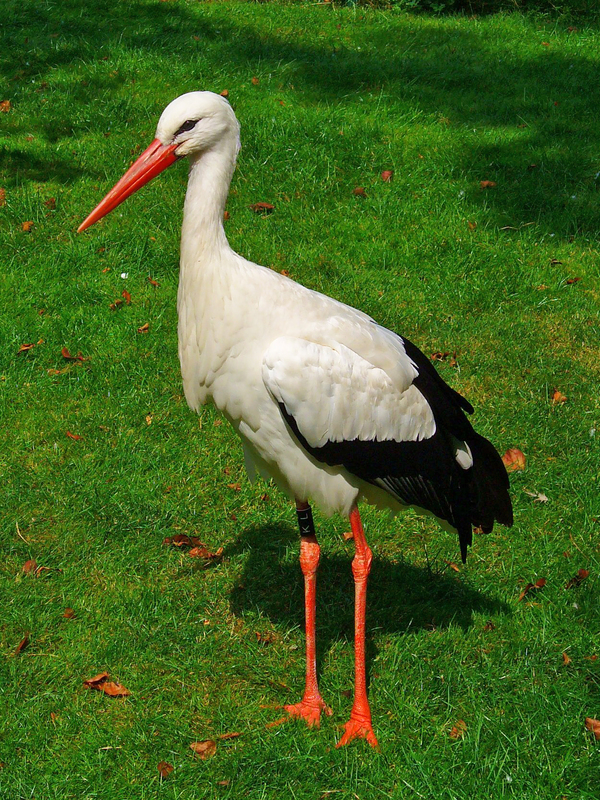 The white stork is an integral part not only of Polish wildlife, but of its culture. Standing three feet tall (91 cm) with a wingspan of about seven feet (213 cm), these impressive birds arrive in Poland each spring after wintering in Africa. They build gigantic nests made of twigs, branches, sticks and grass atop tall objects such as trees, rooftops and telephone poles—these nests are often six feet in diameter (182 cm), nine feet deep (274 cm) and can weigh several tons! Faithful birds, white storks typically stay with one mate during the breeding season, and a female usually lays three to five eggs. Culturally, the white stork has had a loving relationship with the Poles for centuries. In the old days, Polish villagers believed that humans and storks were kindred spirits, and the utmost respect was paid to the birds. Everything was done to entice a stork to nest on your rooftop because it would supposedly bring good luck. Oftentimes, storks would return to the same village year after year, strengthening the belief that they are intelligent and human-like. Sadly, the white stork population has gradually been declining, spurring increased efforts to protect the birds in Poland. The bison is Poland’s resident tough guy, and this is why he’s number one. This is the largest animal on the European continent, standing six feet tall (183 cm), nine feet long (274 cm) and weighing around 2,000 Ibs (1,000 kg). Bison have giant stomachs that can hold 26 gallons of food (100 liters), so they spend the vast majority of their time eating and digesting massive amounts of bushes and tree bark. This bison, found in the Białowieża forest, is one of the last links to Europe’s ancient, natural past. The forest is a UNESCO heritage sight, largely because these majestic creatures still roam there, protected by the most stringent Polish conservation laws. During the early 20th century, bison were nearly hunted to extinction by the Germans and Russians, especially during World War I. 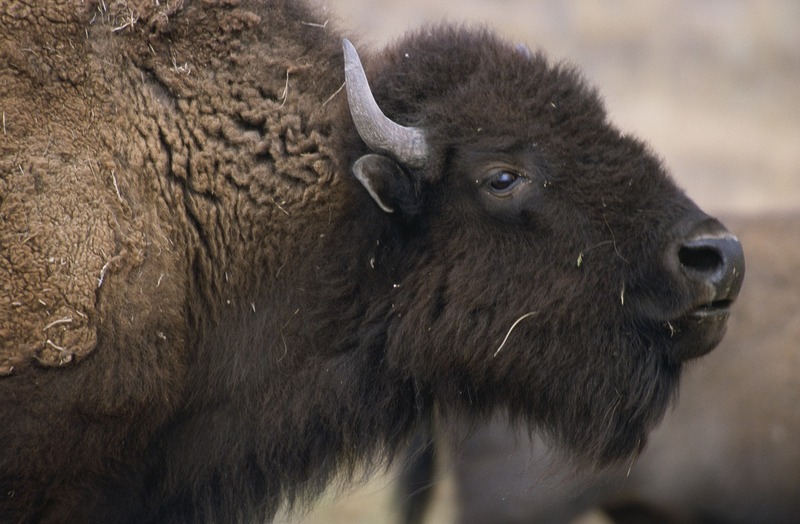 In fact, only 54 bison remained by 1924. Since then, Poland has taken great pains to reintroduce bison into the wild through breeding initiatives, and their numbers have increased. Don’t mess with a bison. Although they are typically indifferent to humans, they can be aggressive. No one has ever successfully domesticated one of these animals. They own the forests, and they know it. Nevertheless, they have become a major tourist attraction in Poland, with visitors coming from all over to witness them in their natural habitat. It’s definitely considered one of the “things to do” when visiting Poland.